This morning we had tours at LCA! 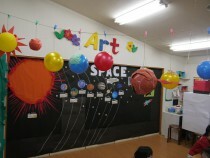 Students went to the Ocean Room, The Everglades and Space. There the students learned about different things and animals!